The Ghana Chamber of Telecommunications (GCT) in partnership with the GSMA, National Communications Authority and the Bureau of National Communications is organizing a two-day training workshop on Disaster Response and Humanitarian Crises Management starting on Thursday 28th March 2019 at the La Palm Royal Beach Hotel in Accra. This initiative is part of a wider effort to improve coordination between mobile operators, regulatory authorities, government agencies and the humanitarian community to not just prepare to respond to disasters but leverage mobile technology as well as other critical technological tools to plan, predict, respond effectively or mitigate completely the effect of potential disasters. Chief Executive of the Chamber, Ing. Kenneth Ashigbey called for simulations among all stakeholders within the disaster management ecosystem to leverage ICT and telecommunications services to mitigate disasters and humanitarian crises facing our country. Over the last few months, there has been several earth tremor counts, with scientists predicting an imminent earthquake with its associated challenges. Mr. 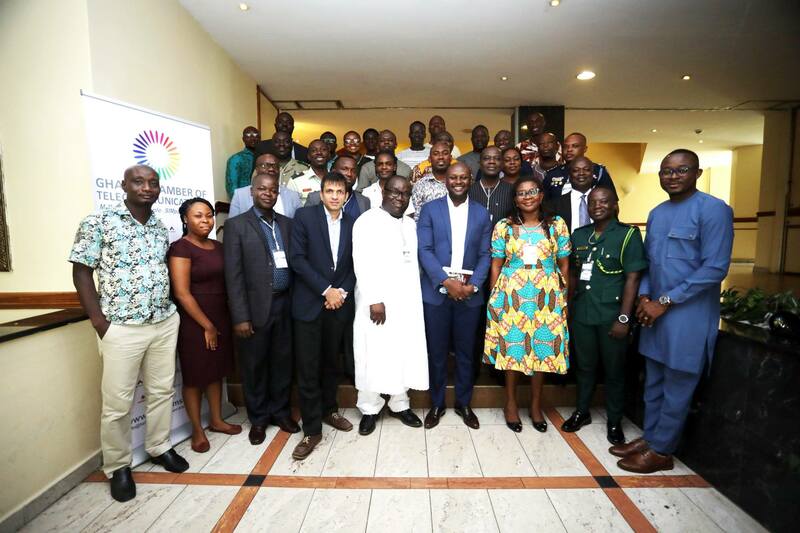 Prince Ofosu Sefah, a Deputy Director General Operations at the National Communications Authority, also underscored the important role ICT and telecommunications plays in the reduction, mitigation and recovery phase of disasters. He also revealed government’s plan to position ICT and telecommunications at the heart of Ghana’s Emergency Response Operations to alleviate disasters. The workshop also seeks to propose around the world techniques being deployed by countries similar to Ghana and allow our nation to adopt flexible approaches to policy during emergencies to positively impact response efforts. The training workshop is a course certified by the United Kingdom Telecommunications Academy, which is an Internationally recognized center of excellence in the provision of ICT education globally. Key Institutions participating in this workshop are from the Prisons Service, Immigration Service, Police Service, Armed Forces, Fire Service, Meteorological Service, National Security, Bureau of National Investigation, Information Services Department, Ambulance Service, Food & Drugs Authority, Ghana Investment Fund for Electronic Communications, Mobile Network Operators, Tower Infrastructure Companies and others.